Celebrate a dinosaur's birthday (not Grandma; geez), swashbuckle in Persia, and Superdawg it. Kick summer off with a trip to Superdawg’s newest drive-in dog house in Wheeling for classic Chicago-style dogs Whoopskidawg Polish sausage (333 S Milwaukee Ave, Wheeling, 847-459-1900; average main course: $5). If there’s a wait, take advantage of the picturesque wooded picnic area to stretch your legs and an indoor souvenir shop where you can pick up a Superdawg onesie, Maurie and Flaurie dolls and more. Afterward, head to the cinema for the premiere of the newest Jerry Bruckheimer flick, Prince of Persia: Sands of Time, where Jake Gyllenhaal plays the magic-dagger-wielding hero who has to restore the Sands of Time. 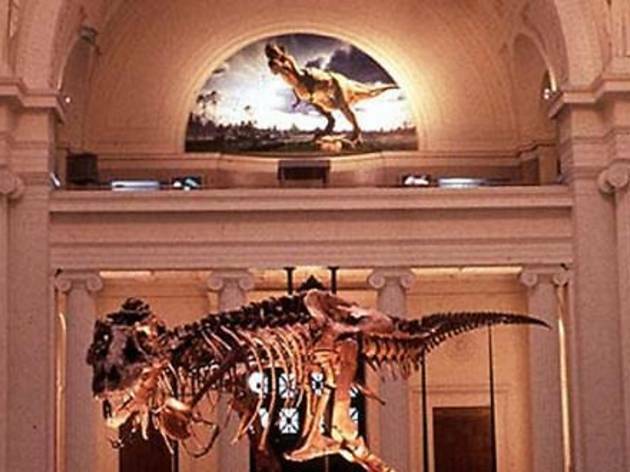 Sue the T. rex has called the Field Museum home for 10 years now, and to celebrate, the museum kicks off its “summer of Sue” with a weekend-long party. Visitors can see a new 3-D movie about Sue and visit the just-opened exhibit “RoboSUE: The T. rex Experience”(with “All-Access pass, $28, kids $19). Sue Hendrickson, the explorer who discovered the fossil in 1990, answers questions about her find and signs autographs. Sat 29, Sun 30, 10am–2pm. 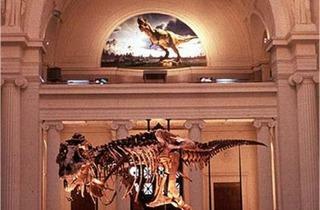 The Field Museum, 1400 S Lake Shore Dr (312-922-9410). El: Orange, Green, Red to Roosevelt. Bus: 12, 130, 146. No matter how many car trips you’ve made over its eight lanes of traffic, you haven’t experienced the beauty of Lake Shore Drive—with the scenic cityscape on one side and the sparkling lake on the other—until you’ve seen it from the slow, leisurely vantage point of a bike seat. A post-ride festival in Butler Field includes entertainment and giveaways. See bikethedrive.org for sign-up details. Sun 30, 5:30–9am. Columbus and Jackson Aves, enter at Lake Shore Dr. El: Red to Harrison. Bus: 6, 14, 28, 146. $55, kids 17 and under $15. The Wellington Oakdale Old Glory Marching Society— better known as WOOGMS—holds its 47th annual Memorial Day Parade. Join some third-generation marchers for Chicago’s oldest do-it-yourself procession, then end the day with treats and entertainment on the lawn of St. Joseph Hospital (2900 N Lake Shore Dr). The pace is leisurely so kids and strollers are welcome. Mon 31 at 11am. Starts at corner of Pine Grove Ave and Wellington St (773-327-4924). El: Brown, Purple (rush hrs) to Wellington. Bus: 76, 77, 134, 143, 151, 156.